(Reuters) - Republican presidential hopeful Ron Paul declared on Wednesday his campaign was "peaking at the right time" as polls show him closing in on the two perceived front-runners. The libertarian congressman from Texas with a passionate core of followers complained that pundits were dismissing his longshot campaign prematurely and sounded optimistic about catching former Massachusetts Governor Mitt Romney and former House of Representatives speaker Newt Gingrich. All three and others are seeking to represent the Republicans and unseat Democratic President Barack Obama next November. The first of a series of Republican nominating contests is set for January 3 in Iowa. "The momentum is building up and a lot of the candidates so far would come and go. They would shoot to the top and drop back rapidly. Ours has been very steady growth, then in this last week or two there has been a sudden extra growth," Paul told reporters after meeting voters in Amherst, New Hampshire. Public Policy Polling released a survey on Tuesday showing him one percentage point behind Gingrich for the lead in Iowa. 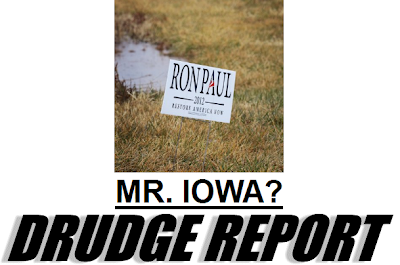 Paul took 21 percent in the survey compared to 22 percent for Gingrich with Romney third at 16 percent. In New Hampshire, which follows Iowa's caucus with a primary election on January 10, Romney led with 33 percent in a Rasmussen Reports poll released on Tuesday. Gingrich was second with 22 percent and Paul third at 18 percent. Paul's four-point gap behind Gingrich narrowed from a 10-point gap in the previous week's poll and marked Paul's best showing so far, Rasmussen said. "In political terms, it probably means we're peaking at the right time," Paul said.